Rep. Alexandria Ocasio-Cortez, D-N.Y., hit back at critics Tuesday who mocked her celebration of Amazon’s decision to cancel its deal with New York City to build its headquarters in Queens. Ocasio-Cortez faced stinging rebukes from Republicans and Democrats alike over her insistence that the $3 billion in tax breaks offered to the company would be better spent hiring teachers and fixing the city’s crumbling subway system. Congresswoman Alexandria Ocasio-Cortez, D-N.Y., delivers her inaugural address after being sworn in as a member of Congress on Feb. 16, 2019, in New York. (AP Photo/Kevin Hagen). The latest came from Erik Engquist, a managing editor at Crain’s New York Business. Engquist’s pile-on proved something of a last straw for Ocasio-Cortez, who unleashed a flurry of tweets directed at those who claim she’s too green to wield so much influence. There’s NO WAY that this deal - one of the biggest giveaways in state history - could possibly have been bad, right? The freshman congresswoman then retweeted a Business Insider article on the real estate impact that the quashed Amazon deal was already having on prices in the city. Lastly, Ocasio-Cortez cited a Washington Post article detailing a meeting between Amazon and Immigration and Customs Enforcement officials, at which the company pitched using its facial recognition technology to help identify immigrants. Or that a technology giant of big-brother-esque potential was selling (notoriously flawed & racially biased) facial recognition technology to ICE while trying to move into 1 of the most immigrant-dense areas of the world? 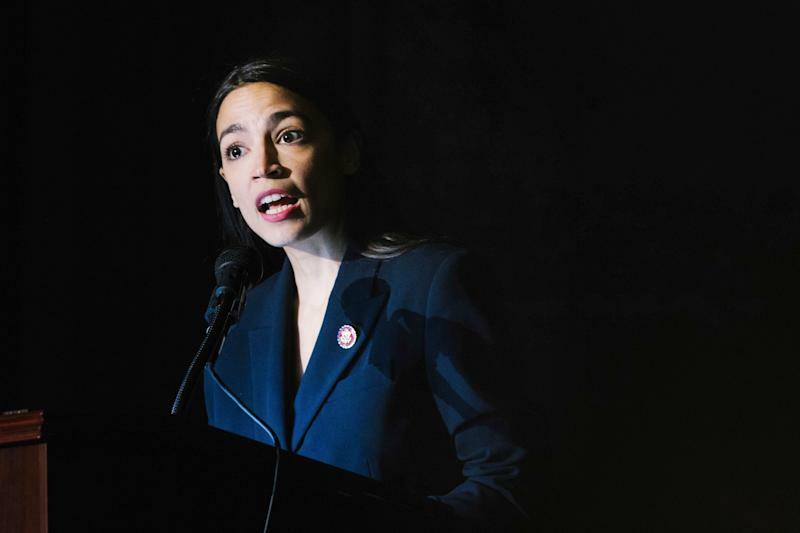 Over the weekend, New York Mayor Bill de Blasio struck a measured tone discussing Ocasio-Cortez’s role in scuttling the deal with Amazon, which had been billed as likely to bring 25,000 new jobs to New York. On the one hand, he noted that the proposed $3 billion in tax incentives would go into effect “only after we were getting the jobs and getting the revenue,” and he also criticized the company for pulling out of the agreement.